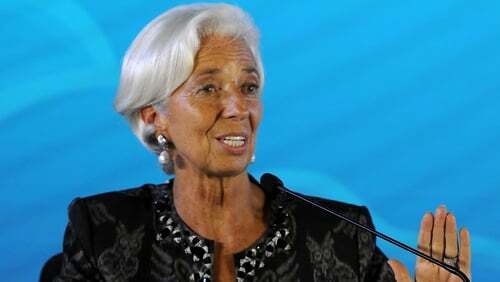 Christine Lagarde cited what she called "four clouds" as the main factors undermining the global economy and warned that a "storm" might strike. The risks include "trade tensions and tariff escalations, financial tightening, uncertainty related to the Brexit outcome and spillover impact and an accelerated slowdown of the Chinese economy", she said. Ms Lagarde said trade tensions - mainly in the shape of a tariff spat between the US and China, the world's two biggest economies - are already having a global impact.